Kou Yaten is often distant and cynical about everything. Yaten does not like to socialize or do sports. His/her remarks are often sharp-edged and blunt, which further separates him/her from the world. In one episode, the other Starlights even chastise Yaten for behaving in a way that might reduce the number of fans. However, he and Luna get along well. At one point during that episode, Luna inspires him to keep on fighting. In the anime, he has the most spiritual awareness of the Starlights, and is able to tell when Starseeds are taken by Sailor Galaxia. He views humans as untrustworthy and wants to find Princess Kakyuu so they can leave Earth as quickly as possible. This comes further to light when they discover that Usagi is Sailor Moon. 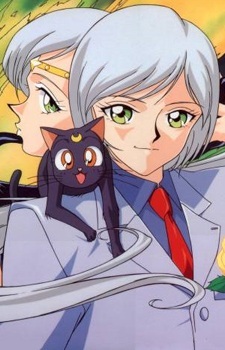 Yaten believes that Seiya should stay away from Usagi, despite their wish, shared by Princess Kakyuu and the Guardian Senshi, for them all to work together. His view is shared by Taiki as well as Sailors Uranus and Neptune.